Are you ready for the turn down service? At prices less than half the what most people pay for business class to Europe, you can jet off in fully flat beds in both directions. Qatar Airways has amazing deals on Boeing 787 Dreamliner’s the whole way, from easy to reach Jakarta to Barcelona or Zurich. Gulf Air has similar deals from Bangkok or Colombo to London and Malaysian has great fares from Jakarta to London, as well. 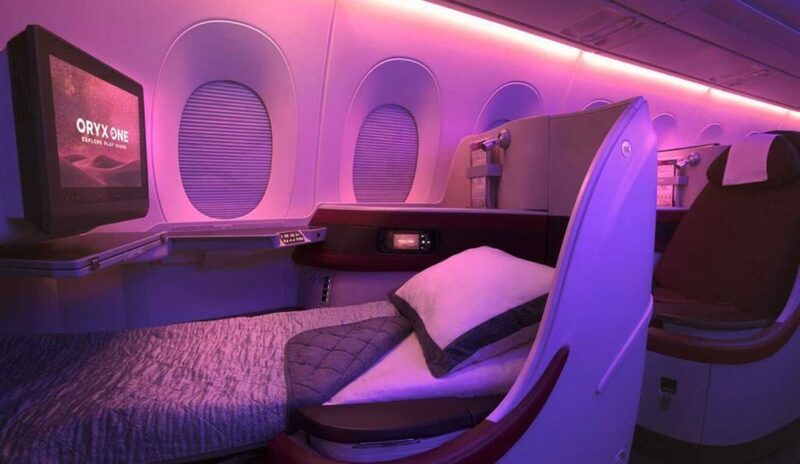 On any of these deals you’ll get plenty of time in the air to enjoy the comforts of the world’s best business class cabins. Here’s a preview of the Qatar experience. In many cases it can be worth booking a cheap flight or using points to reach Jakarta, Bangkok or Colombo from a nearby city, since the savings will still likely be far greater! The Qatar Airways deals from Jakarta may be the most exciting offer, with wide open availability from June thru November 2018. The Gulf Air deals from Bangkok to London are available from June thru December 2018. Gulf Air deals from Colombo to London are available all year and into next year from May 2018 thru April 2019. Not every single date will be available, but we’ve made easy to use Google Flights links below which take you directly to the action. The Qatar Airways deals can be booked directly with the airline on their easy to use website. Simply select Jakarta (CGK) as your starting point and either Barcelona (BCN) or Zurich (ZRH) as your destination. Enter dates mentioned above and use the easy calendar tool to find prices of 10,300,000 IDR each way. This equates to roughly $1400 USD round trip. The Gulf Air deals from Bangkok can be found here, and from Colombo here. Simply click around with dates to find the prices you need and jet off in style! The Malaysian deals can also be found here. Enjoy your trip. Are you jetting off to Europe in business class? Given your post about SecretFlying did you give the credit to the person who found it? Do you mean my Google Flights alerts that went off yesterday?